Home > Contents > Visual indexes > Gilles, Photo. 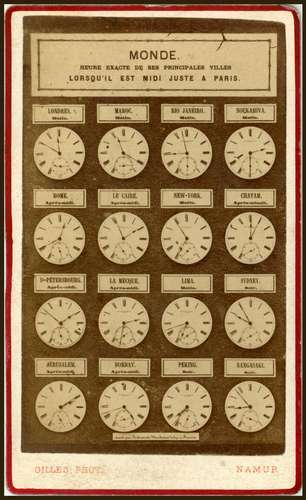 Shows the clocks of A. Bertrand of Namur in Belgium. We are looking for further information on the purpose of this CDV.